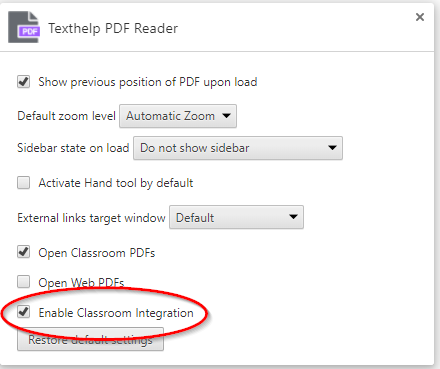 If you are using Google Classroom, you can use the Texthelp Google PDF Reader to assign a PDF to your students to be turned in. To use this feature, teachers and students must have Classroom integration enabled. Click the Classroom button and choose the class that you’d like to assign the PDF to. Important! Make sure to select Make a copy for each student if you want students to be able to turn in the assignment directly from the PDF Reader. Please see this topic on our YouTube Channel!